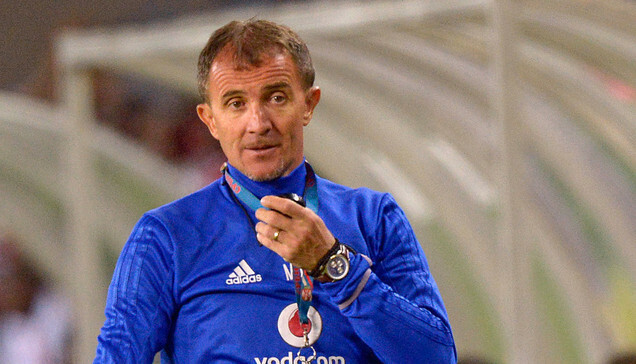 Orlando Pirates coach Milutin Sredojevic believes the wins over Bidvest Wits and Black Leopards must be followed by a victory against Free State Stars to boost their league title challenge. Pirates defeated Bidvest Wits last Saturday 1-0 and followed it up with a 2-0 success over Black Leopards on Wednesday night. The Sea Robbers now lead the Premiership on 47 points with Mamelodi Sundowns in second on 44 points, though the Brazilians do have the advantage of two games in hand. Nonetheless, ‘Micho’ thinks collecting the three points against Ea Lla Koto this weekend would take Bucs one step closer to securing the Premiership crown. He said: “We are still playing some games, there is nothing yet to think about. We really don’t look at the table, we’re focussed on the game in front of us. “It is nice that the table is the way it is and it’s nice to see yourself there [at the top], it gives you confidence. “But I will just say, if the game against Bidvest Wits was the document written and today’s signature has been put, it’s very important on Saturday for us to put the stamp. So, what I was speaking about, the three doors of hell to open doors of heaven, are closer. “We have no right to look at calculations and mathematics, we know only one mathematics, every single match ahead of us, there are four to go, we need to go into them with the intention to win. “Our confidence comes from the fact that we have players that are fully focused, concentrated and four or five of them have won something in a Pirates jersey [before] because they are long-term players. “But so many of them have not won anything, therefore the motivation is sky-rocketing and everyone wants to give their best – players playing, coming [in as substitutes], on the bench. “We have the correct atmosphere to now push us to focus on the next game, for which there is very limited time [to prepare]. Saturday’s clash with Stars is at Orlando Stadium in Johannesburg with a kickoff time of 20:15.